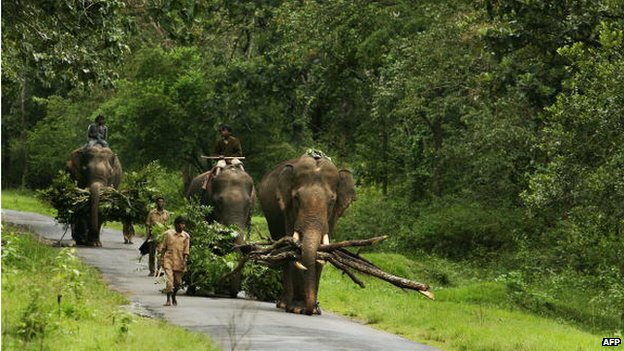 That is how far the Indian state of Karnataka has unified into unbroken protected forest. This great linkage they accomplished by linking the many “green dots” –or isolated animal and wildlife preserves – already present in their region. The sweep of territory includes the Western Ghats mountain range, a UNESCO World Heritage site, also considered to be one of the eight hottest biological hotspots worldwide. Yearly, Karnataka adds verdure to their protected forest with the goal being an unbroken forest extending from Goa to Bangalore. Such a continuity of habitat will aid in genetic diversity among endangered species populations who, once isolated in disparate national parks, can now meet in the contiguous protected area. While their efforts face bureaucratic hurdles and negotiating protection of rights for people living in and around the protected areas, the expansion plans led by BK Singh continue on pace.